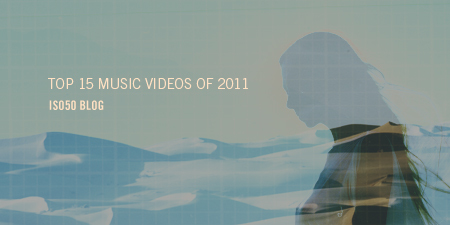 Turn down the lights, fire up the projector and light a candle if that’s your style…here’s my picks for the Top 15 Music Videos Of 2011. I tried to encompass a lot of image styles and music in this list. There’s all types of directors and production scales ranging from Canon 7D equipped bare bones budgets to freaking Michel Gondry shooting stop motion on a Bolex (or so I read). I think that’s what’s crazy and great about being a director and designer in this time. If you want to, you have access to pretty much everything (visually speaking) if you put time into it. Hopefully some directors, DPs and photographers are inspired by this, it was a good year for the moving image and I suspect it to only get better and more creative in 2012. Hope you all dig the list and if you make it through each video all the way through, no skipping…you can rule out any form of attention deficit disorder. I haven’t listed any of these in a rank, only because they’re all good at specific things. However, if I had to pick one favorite, it’d be Eric Epstein’s magically haunting work for Memory Tapes. Collecting Music Videos ColorVision 8: Videos T.. In Other news | Hot Chi.. The Toro Y Moi video was filmed in Angeleno Heights, in a house very familiar to this poster. Major props. This list is solid gold. most hipsterish top, what i’ve seen. How did com truise not make this list? Good list ! What about Gustav Johansson’s clip for Karl X Johan’s “Flame” : http://vimeo.com/19026280 ? What an excellent list! I’ve already shared a number of these gems with my friends. Some are down right cool, like Toro Y Moi’s “How I Know,” But some are simply evocative, like Lord Huron’s “Stranger.” That video is soooo sad!–but very well done. M83’s “Midnight City” is just badass. I would try to shatter glass with my brain power when I was a kid, so the video was a kind of desire brought to life. Correction: “Montana” by Youth Lagoon is the saddest video on the list. My lord! But so well done. Oh Memory, how you haunt us. M83’s “Midnight City” is almost a shot for shot recreation of the beginning of Akira. Keep the suggestions coming, I like seeing what everyone else saw as their favorite this year! 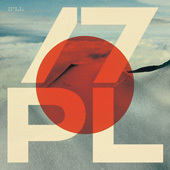 That one was pretty amazing as well http://vimeo.com/25518056?utm_medium=referral&utm_source=pulsenews ! Love this list! Was the Woodkid “Iron” video from 2011? All the videos are stupendous…. loved all. Nice collection… Hope for the same next time.